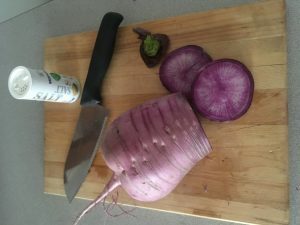 Sweet Baby accurately describes the look of this beautiful purple/white/rose colored radish. 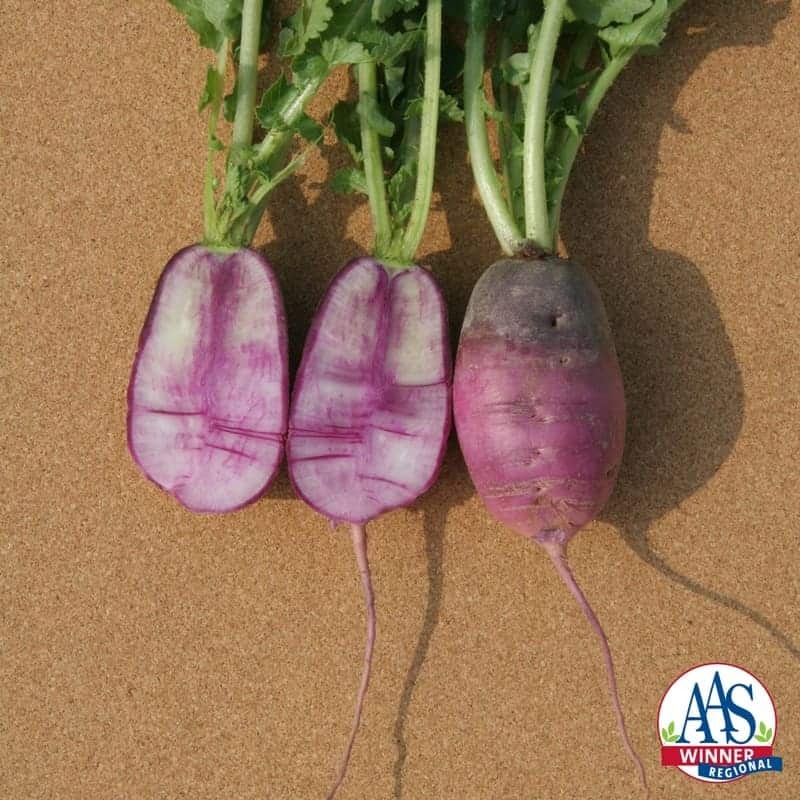 The All-America Selections Judges commented on the improved exterior quality of this radish, in addition to the uniform size and the excellent taste, which was crispy, crunchy and slightly spicy. The internal color ranges from pale purple to white with violet streaks to mostly white with just a few purple splashes of color. 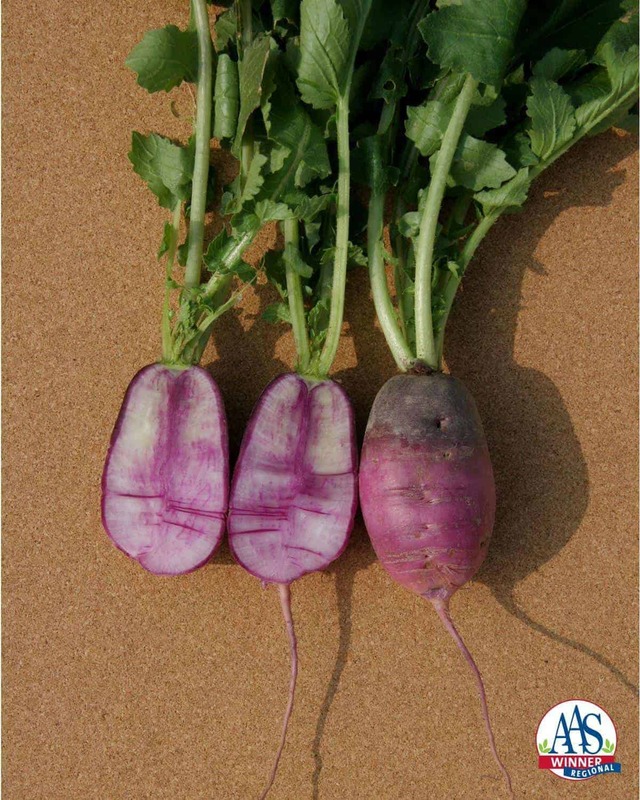 Sweet Baby proved itself to be quick-growing, maturing in just 40 to 45 days which means many home gardeners can have successive sowings for season-long radishes. 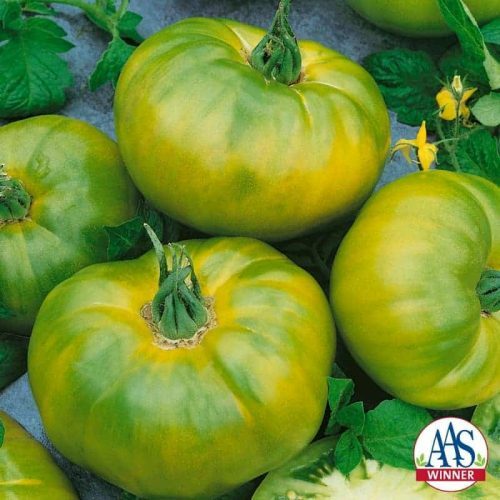 Breeder: Asia Seed Co., Ltd. 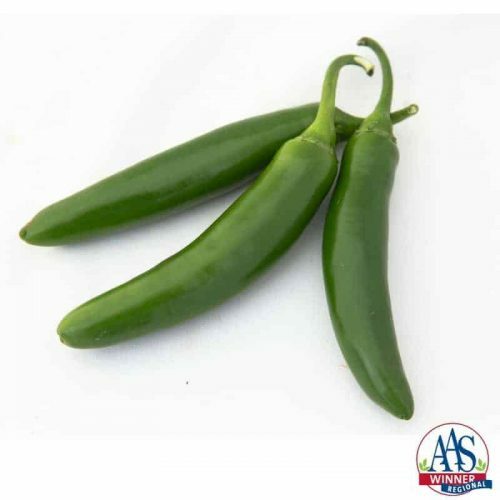 Direct seed ½ inches deep and 1½ – 2 inches apart as soon as the ground can be worked in spring. When tops are up, pull out every other plant. Sow seeds at weekly intervals. 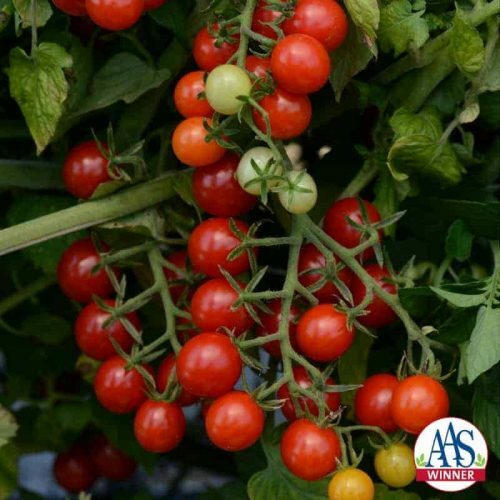 In mild climates, you can sow at intervals in fall and winter for harvest during these seasons. Radishes are easy to grow in a pot 16 inches wide and at least 4 inches deep. We left our sweet baby radish grow well past the recommended 3 inch harvest size and 40-45 days. With all the rain and our amended soil in our raised bed, the radish grew to be well over 4 inches in diameter and nearly six inches long. To my surprise the texture and taste were still very acceptable. 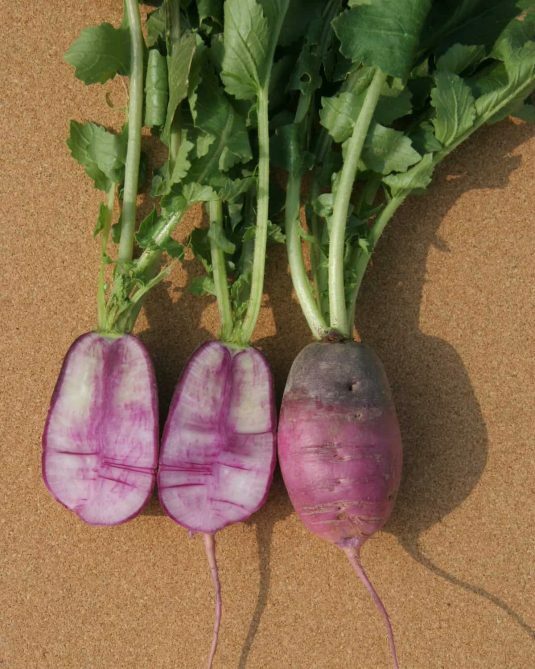 It was not woody or overly spicey which often occurs as radishes get older.